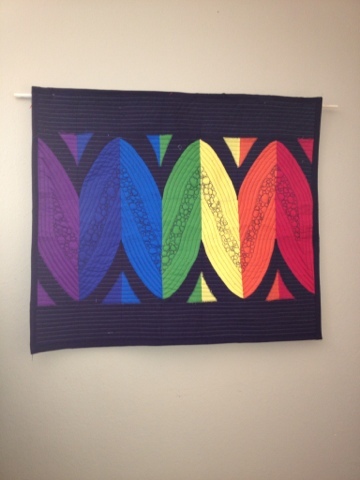 Here is a wall hanging I made today. I like making these inbetween bigger quilt jobs, you can think them up and finish them in the same day. ROYGBIV colors are a big favorite of mine so of course I like to play with them every now and then. 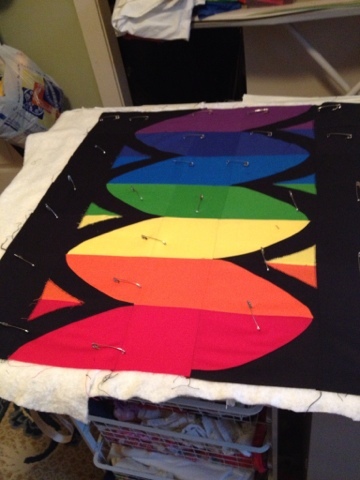 A little trick I've learned, if the fabric starts to bunch up, like it did on me in the center... pebble quilt it... it smashes down the bulk and in the end no one will ever know. No one but you can think them up in the morning and finish in the afternoon!! It's beautiful!